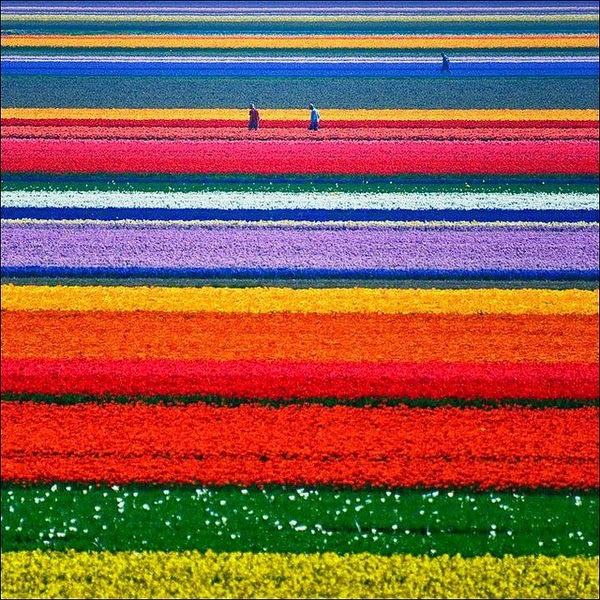 The world is so full of natural wonders that new, amazing and unbelievable places can be discovered every day.These unbeliavable places from all around the world are, in their own right, beautiful. 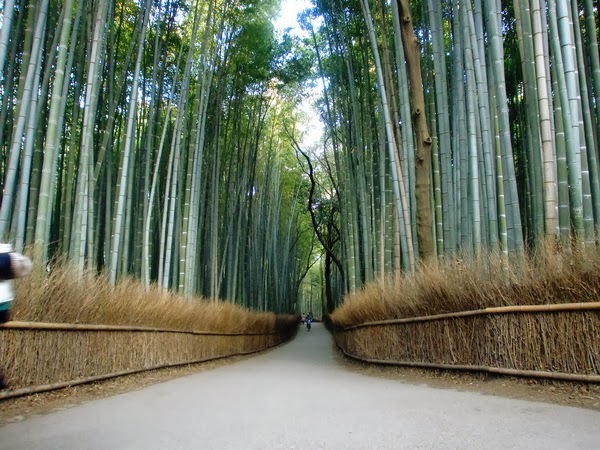 Consisting of everything from individual monuments to expanses of water and ancient villages to modern cities, they may not all be attracting, appealing or aesthetically pleasing to everyone, but to some, they are some of the most stunning places on earth. And yes, all those of those places are real! 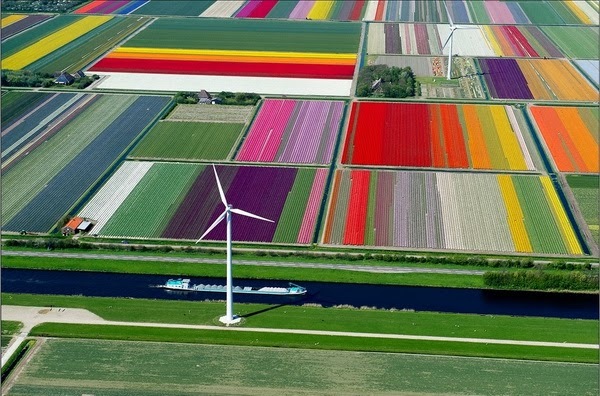 Covering some 79 acres (32 hectares), the Keukenhof Tulip Gardens is the world’s largest flower garden. 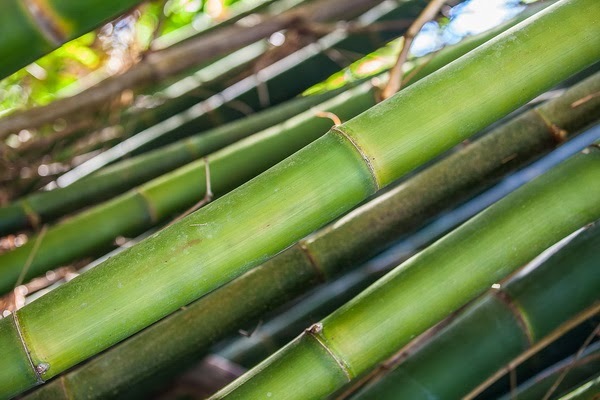 Come springtime, the meandering, wooded gardens are visited by some 800,000 flower-lovers, who come to soak up the blaze of color that envelops the park, its greenhouses, brooks and shady ponds and winding paths. It’s truly a memorable sight. 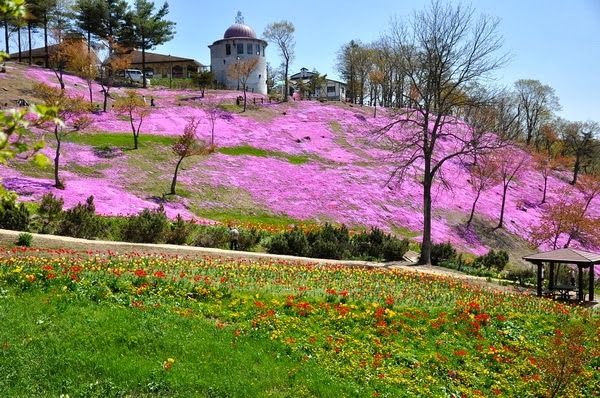 The-park covers an area of ​​3.5 hectares and the flowers are amazing all year round. 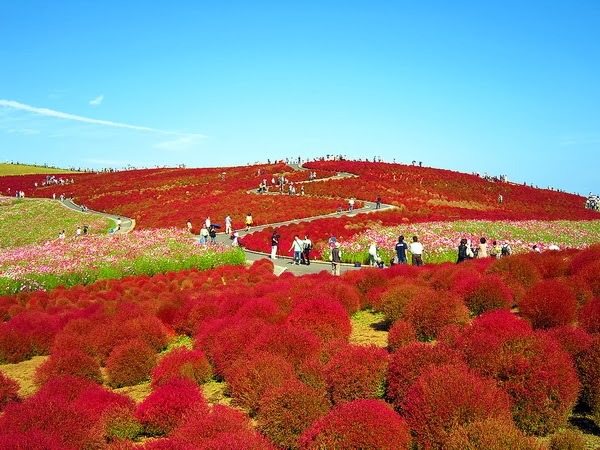 Each season you will find a different variety of flower blossoming over the "Miharashi No Oka", a hill commanding a panoramic view of the Pacific Ocean. The park is particularly famous for blue nemophilas. Nemophilas are annual flowers with transparent blue petals. During spring, more than 4.5 million blue nemophilas bloom all over the park. 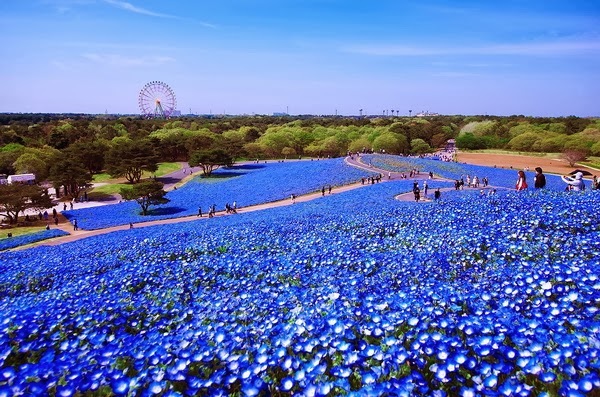 The blooming period is called “Nemophilia Harmony” and attracts many visitors. In early spring t you can witness an amazing “Golden Sea” of canola flowers. The canola flower fields in China are one of the world’s beautiful sight’s in small Luoping (Yunnan, China). 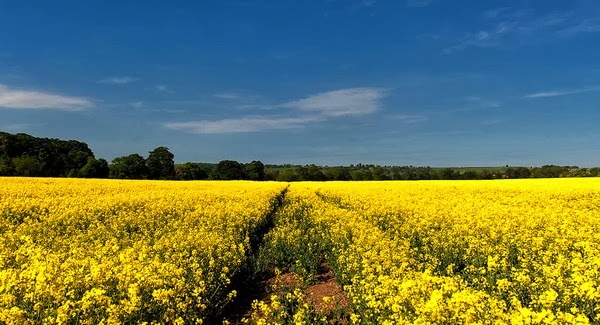 Vast farmlands get covered in golden, yellow rapeseed flowers stretching as far as the eyes can see, all the way to the horizon. The best time to visit Luoping for this visual fiesta is February through March, by June the show is over. 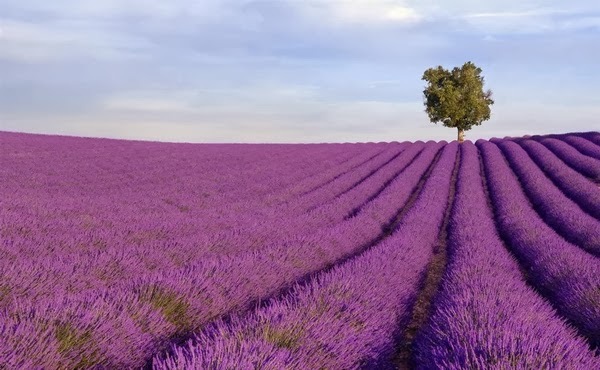 Fragrant lavender fields bloom from June to August in the Luberon, around the Mont-Ventoux, in the region of Sault and that of Valréas; such amazing scenery and atmosphere make the lavender fields one of the summer Must-Sees in Provence. This blue gold has been used for a long time to make soap and cosmetics ; it is also part of the Provençal cuisine and lavender honey and lavender sorbets are worth a taste ! 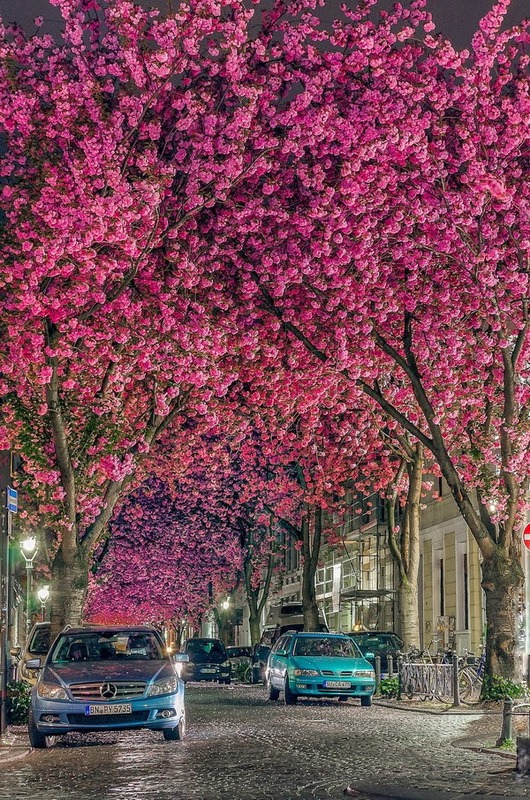 Cherry Blossom Avenue, Bonn, Germany. A cherry blossom is the flower of any of several trees of genus Prunus, particularly the Japanese Cherry, Prunus serrulata, which is sometimes called sakura after the Japanese. The cherry blossom is a major tourist attraction in Germany's Altes Land orchard region. The largest Hanami in Germany, in Hamburg, with Japanese-style fireworks, organized by the German-Japanese society, draws tens of thousands spectators every spring. 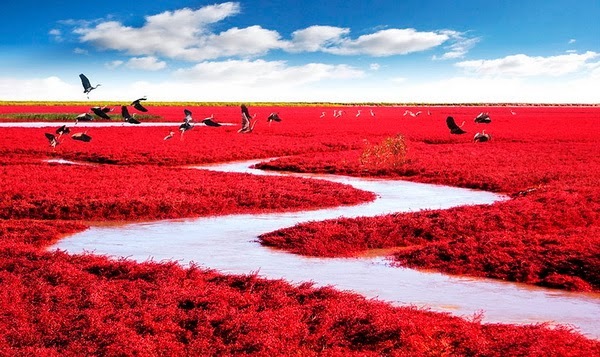 Liaohe River Delta contains a very unique piece of landscape, the Red Beach. Not far from Panjin City, China lies a beach that during the summer months looks like any other beach. Beautiful waters and a bit of green sea weed. 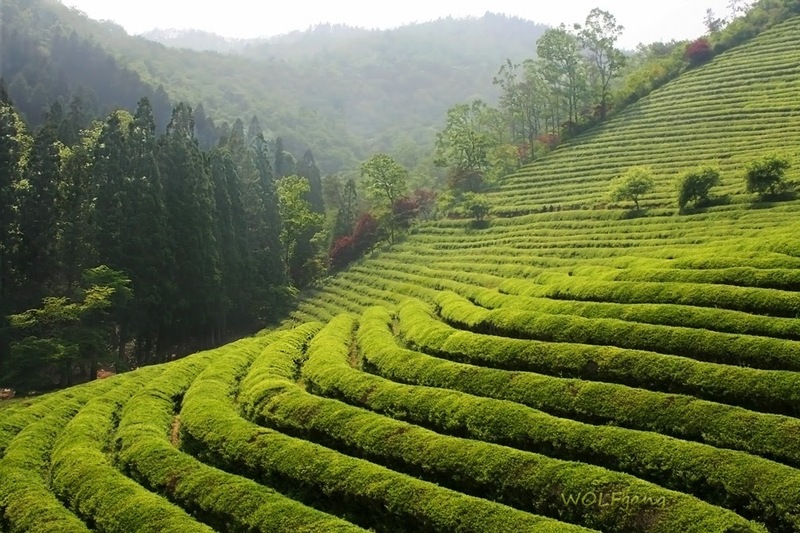 The Longjing Tea Plantation is located in the West Lake Scenic Area. The plantation is a base for Longjing Tea cultivation in Hangzhou. 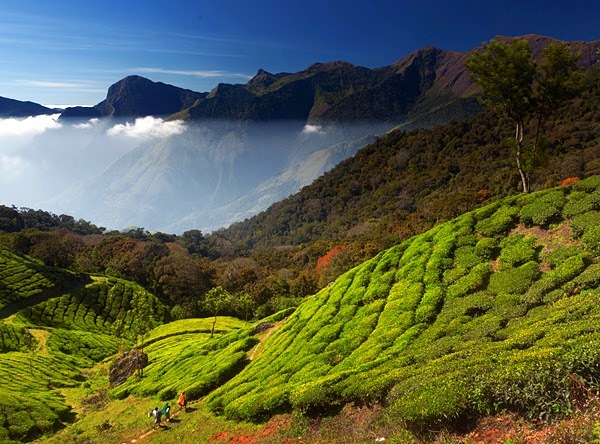 The tea fields are distributed in many places inside the West Lake Scenic Area and they are the state's tea gift production base. 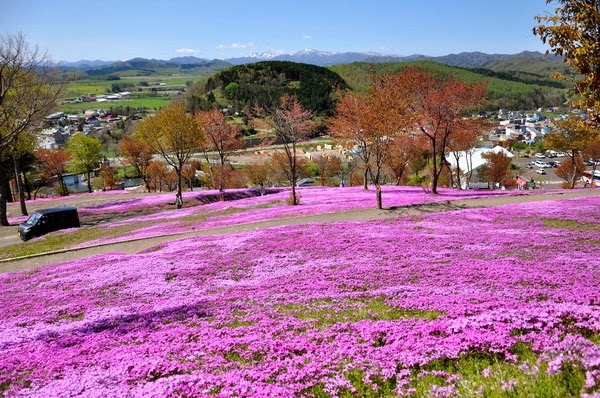 Takinoue Park in Takinoue Town (Takinoue-cho) is famous for moss pink, tiny flowers that spread for 100,000 m2. The flowers grew from a carton of seedlings to become the biggest moss pink community in Japan. The best season is from mid-May to early in June. 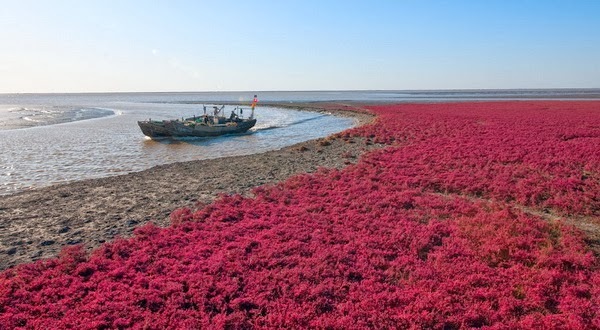 Pink Moss Festival is held in mid May. 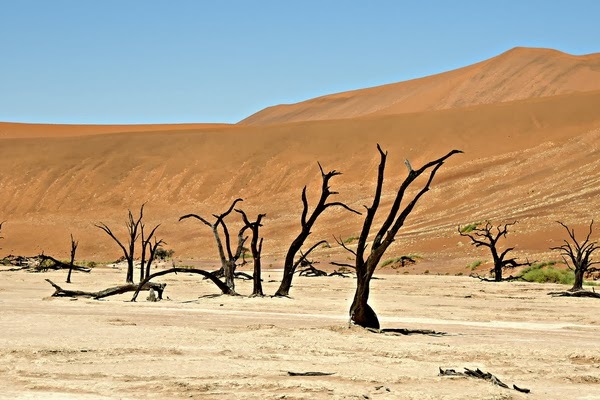 Among the towering red dunes of Namib-Naukluft National Park in the central Namib Desert is an area known as Sossusvlei. It is a strange and alien landscape. The rich red dunes that surround the area owe their hue to age -- over thousands of years, the sand has literally rusted.